I’m sure you’ve daydreamed at some point about how life would change if a large lump sum payment of money came your way. Say like a million dollars? We’ve all played this game and fantasized about all the good we could do for ourselves and others with that much money. For most people, this will not happen. The better likelihood is that it will take many years of hard work accompanied by traditional saving and investing to become wealthy. That’s how most of us will reach our financial milestones. However, people’s lives can change quickly because they receive a lump sum payment of money worth six or seven figures. How could this happen? Well, here is how and it’s not a get-rich-quick scheme. An Inheritance. A person receives money from a loved one or friend’s will. Life Insurance Payout. Another death issue where an individual passes away and consequently the remaining spouse or beneficiary receives the death benefits from a life insurance policy. Lottery. This is a complete long shot for sure but it does happen. Legal Settlements. Injuries from an accident or a lawsuit could produce large cash payouts when the court rules in your favor. Career Realization. Professions where this might occur could be the professional athlete who just signed his or her first contract and the actor/musician who unexpectedly bursts on the scene. A Business Deal. This could be a website or small business you start that gets bought out by a large company. All these events would be life altering. They have the potential to change a family for multiple generations. They also have the potential to be a devastating curse (just google “lottery winners going broke” to see how). 1. Wait (maybe as much as six months). First of all, NEVER feel or be pressured into any quick decisions. There is absolutely no rush to do anything. You have the large lump sum payment. Deposit it in multiple bank accounts if you have to and let it sit for bit. It’s important to evaluate your circumstances and give the change time to sink in. Life is going to be different and it takes time to emotionally prepare for what’s ahead. 2. Avoid immediate spending. 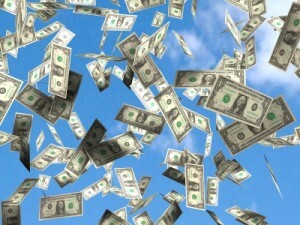 With the sudden wealth will come the immediate desire to spend. You will want everything! A person may be able to fight against this urge for a bit. However, if you had a predisposition to spend excessively before, then receiving this money will not help the issue – it will only worsen it. In addition, some of the above scenarios may require time for emotions to heal. Don’t medicate the pain of loss by spending. 3. Consult a financial adviser. With numbers this large, consulting a professional would be a wise move even for someone disciplined in saving and investing. You may encounter issues you haven’t considered in regards to retirement, paying off debt or estate planning. In addition, a professional would have more knowledge of tax related issues to consider and the best ways to set up a portfolio for long-term sustainability. It will be worth the money to pay for a tax professional’s advice and service in this matter. As you look for help, do the necessary due diligence to find a financial adviser that is qualified and is a good fit for you. 4. Watch out for friends or loved ones. It may be that your windfall is not a secret. Perhaps friends and family members are aware of the lump sum payment that has come your way. Consequently, long lost friends you haven’t seen in 20 years may suddenly look you up, seeking a handout or financing for that can’t miss business deal. Be on your guard. If you don’t think this could happen, check out the ESPN 30 for 30 documentary “Broke”. This documentary detailed the lives and misfortunes of many professional athletes who became instant multimillionaires. They struggled with telling friends “No” and felt compelled to give money to family members who had helped them along the way. Many of them lost millions of dollars in the process. 5. Give. With this much wealth comes a greater responsibility to give to others. The great businessman and philanthropist Andrew Carnegie once said, “Surplus wealth is a sacred trust which its possessor is bound to administer in his lifetime for the good of the community.” Look to give some money away but not immediately (see #1) or recklessly (see #4). So think of ways to eventually share part of this windfall and impact your church, community or other cause that you hold dear. You may even want to develop a giving plan to help you wisely do this. In conclusion, receiving a lump sum of money will be a life changing moment. Proceed slowly and cautiously on the path ahead so the life changing moment becomes a long-term financial blessing. Questions for Discussion: Do you know anyone who received a large lump sum payment of money? If so, did it impact their life for good or bad? Is there other advice would you give to someone who received a large payout of some kind? What is the first thing you would buy for yourself if this happened? How would you allocate the rest of the money? I think waiting can be good advice if you don’t know where that money is going to go. But not if you’re going to invest the money eventually. Generally, the market uptrends, so time out of the market is money lost. We should already have a general investment strategy which allocates any new wealth among different asset classes, according to risk tolerance. If money is going to be invested, I would counsel someone to invest it immediately across broad-market ETFs or mutual funds, according to their target asset allocation. Waiting and not rushing into anything is the best advice, I think! You’d want to make sure you are putting the money where is best and that requires time and looking into options. Thought-provoking post! I think waiting is a huge element, one reason being that you might have other emotions going on if you lost someone close that resulted in receiving the money. “…waiting…” That’s probably the single best piece of advice anyone could receive when this happens. You are 100% right…there is so much emotion, either positive or negative the person might be dealing with. And we all know that we don’t make good decisions when we are emotional. Waiting is SUCH a huge importance. Emotions and money usually don’t go well together! You are right Catherine! I always seem to make poor decisions with my money when I’m emotional. Great post. I have a mini windfall coming my way once I sell my condo, and I’ve already decided to bank the six-figure check and take some time to figure out next steps. I want to make sure I’m making healthy, informed decisions and not reacting from the emotions of having so much in the bank. Congrats…that’s cool! I was hoping someone might be able to comment on this happening to them recently. I think you are taking the right step in being patient instead of reacting. Well, I’m not sure I’m the person to be giving advice on this topic because I’ve never had a big windfall of money, but I would say pay off your debts and put it into income-producing assets. Making it last long-term – and potentially providing you with income on top of it – is the best way to go about using a large lump sum of money. I think that people who build businesses and then sell them for a sizable sum are a good example of people who have received a lump sum payment. Making this money last, especially since you no longer have your business generating income for you, is extremely important. I think using a large windfall to generate long-term income is a great step. There are several places that could happen including dividend stocks/mutual funds or rental real estate. I definitely agree that talking to a professional would be a good idea, but I think you need to be careful about what kind of professional you talk to. There are lots of “advisors” out there who are really just looking to sell you something so they can collect a commission. You even need to be careful with fee-only advisors. Probably going with someone willing to work with you on a one-time, flat fee basis would be a good way to start. If you feel like you still need more after that, you can always seek it out. “There are lots of “advisors” out there who are really just looking to sell you something so they can collect a commission.” I know. I’ve run into a few of these in my lifetime and it’s pretty obvious that is what they are doing. Some use scare tactics to get you to buy all kinds of insurance you don’t really need. Have to be careful here. It’s one of my favorite games – dreaming about a sudden windfall that erases all my problems. But that also assumes I don’t make the mistakes that so many people do make when they get a windfall. Waiting is important because we’d probably regret our initial spending choices. 🙂 It’s not easy but taking even a few weeks to prioritize things you want and what you need to save is important. And sadly, dealing with family and friends and acquaintances who suddenly need your help would be hard. It’s not easy for me to say “no” but I also don’t like being taking advantage of either. Windfalls only bring other types of problems. 🙂 I know we mostly brush off the rich as not having need of anything. But being rich is not easy either, or so I’ve heard. I totally agree with your first point: Wait. That is so important. Don’t rush into anything. Instead, carefully consider the best use of your windfall. It’s tough to do when we are being influenced by our get-it-now culture. The waiting game would be so hard for me! But it’s definitely necessary. Waiting makes you really think about what you value, and what you really need to spend that money on. Giving is also a great idea – I’d like to think that I’d give a huge portion. I hate to wait Lisa! It’s one of the things I have struggled with over the years. It takes a lot of effort to discipline oneself from acting to quickly. Waiting seems to be the most popular tip and I would agree. Although I wouldn’t wait to pay off our current debt. I would wait on the spending but of course get the windfall into an investment or savings account right away even though interest rates are low. And I would keep it a secret, for sure. Yes…I don’t see how you can go wrong paying off debt. That would be one thing I think you could take care of a little quicker. It’s so hard to say “No” especially for people that like to please. Money can’t sustain love or friendship though. Once the money is gone, so will be many of the friends. I’d first remember that I probably owe almost half to taxes …. … then I’d start my planning. I feel I’m at a big advantage because I’ve already mapped out before on my site what I’d do with a million or even $500K. Basically I’d go after a good mixture of stocks, bonds, and alternative investments. Diversity is the key to sustainability. I do like the tip to give. You can never underestimate how important that is. “Diversity is the key to sustainability.” Excellent point! Spread out the resources into multiple investments. Definitely get an adviser. And set some fun money too. Better blow 5% than the full inheritance in a whim. It’s a good point Pauline and I agree. A small portion could definitely be set aside to spend, especially if there is a need (like an upgrade in computer or car for example). Just be disciplined enough to draw the line. Many aren’t. And I would still wait to spend it until my other needs (like debt) were analyzed. I couldn’t agree more Brian. My main points would be to wait until the novelty of the cash flow wears off. The next step would be to consult a professional to help you get everything together. You need to understand taxes and all of that stuff that comes with more money. Take it in baby steps. Right…there is no rush. I would add when hiring a professional for their ongoing services, make sure to interview several (maybe at least 5). The profession has clear differences in the types of advisers to hire and some may not have your best interests in mind. This is very ironic as we watched “Broke” on Netflix this weekend. I think it’s especially hard for people who grew up poor to suddenly have tons of money. You almost can’t blame them for going a bit nuts, Almost. I think waiting for a while is a great way to gain some perspective before doing anything crazy with a windfall. I hope I have that problem someday, but since I don’t have any wealthy relatives, don’t play the lottery, and am unlikely to get signed on as a professional athlete, I guess I’ll have to earn it the old fashioned way! While not true in every case, poverty seems to equate with financial illiteracy. That makes sense to me. So the athletes from poor environments who get that first big contract have no training in their background in how to handle such wealth. Hence they are easily taken advantage of as that documentary pointed out. I agree #4 is tough, especially for someone who has a naturally giving spirit. It’s a sure fire way though to lose a bunch of money quickly. I think you have to make sure that if you do spend some or all of it, you don’t incorporate the expenses or any associated costs as part of your ongoing budget, simply because it’s a one time thing. How many people take a lump sum and drop every dime on a new car, but then fail to realize that there are increased associated costs like insurance and such that can actually end up putting them further behind than when they started? That’s a great point! Not thinking about the recurring costs over time is a big oversight. Another example would be purchasing that huge house and forgetting about owing real estate taxes each year. Love your tip about waiting, Brian. It’s smart to give the whole situation time to set in before spending any of the cash. Give yourself time to think about what’s really important in life, then decide what to spend the money on. Right Laurie. This all goes back to rethinking goals and priorities. Like it or not they will change if this scenario happens.